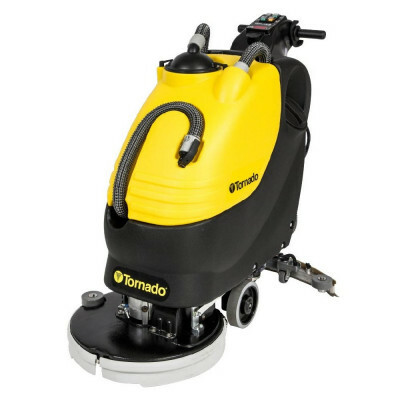 The Tornado BD 20/11 comes with a 20 inch rotary style head and is a smaller-sized walk behind auto scrubber which is great for medium sized jobs. The machine is constructed with a rugged polyethylene roto-molded body, a stainless steel battery tray, and quality manufacturing to give you years of reliability and great performance. Tornado strives to build machines for ease of use while designing their products. 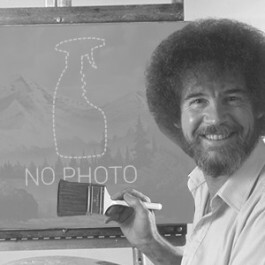 This can be seen with the low-profile line of sight on the machine which allows the user to see more floor ahead of them while scrubbing. A user-friendly ergonomic handle and easy-to-read control panel making controlling the machine easy and effortless. Additional features include a quick-change parabolic squeegee assembly and a wide-open clam-shell design for fast and easy access to tanks, batteries and motors. Tornado backs these machine with an industry leading 10 year warranty on the tanks, 2 years on parts, 1 year on labor, and the batteries are pro-rated for 1 year. Since 1927, Tornado has been manufacturing cleaning products with a dedication to reliability and consistency, making U.S. based manufacturer a trusted name in the cleaning industry. If this unit is not exactly what you're looking for, we offer a wide range of different sizes and types of floor scrubbers to fit your scrubbing needs. Customers who were interested in the Tornado® BD 20/11 Automatic Floor Scrubber - 20" Head - 11 Gallons were also interested in the following items. This is a review for the Tornado® BD 20/11 Automatic Floor Scrubber - 20" Head - 11 Gallons.